A staircase is a vital part of home which can aid the homeowners to get into other areas of the house especially those from the upper areas. It serves as a connecting path from one floor to another, usually to a bedroom or maybe a mezzanine. 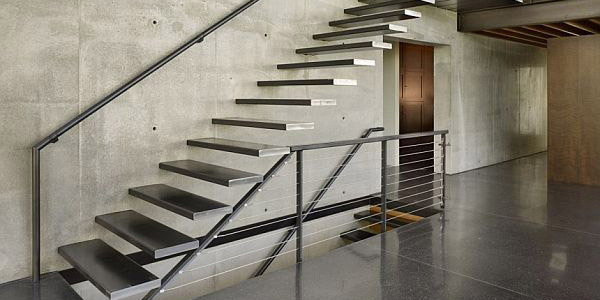 But aside from the functional purpose of a stairs, it also provides a powerful design element to the entire home. There are varieties of staircases and one has to be sure when choosing the kind of stairs to use because it is difficult and expensive to build one. Hence, if you are still planning for your own home, then let this article help you decide on the type of staircase that is apt for your home. You cannot just look into a brochure or magazine and then just choose the design you want. Well, if you think it is as simple as that, you are actually wrong because there are lot of things to consider when choosing for a staircase design. Look into our list below so you can come up with a good decision. Look into the space of your home. This can help you think of a design that will not eat up a lot of space if your area is small. You can also opt for a larger and more decorative stairs if your area is larger. 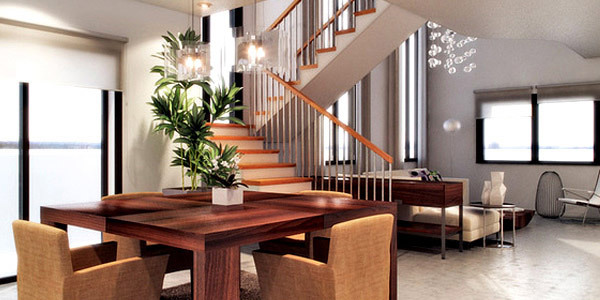 The space is another important deciding factor in choosing the right staircase for your home. It is very vital to consider the safety of your stairs. The safest stairs are those with a landing which are the return stairs followed by L-shaped or U-shaped stairs. There are instances when a landing is not required if the height is not so tall. Usually, stairs with landings are used in public areas like schools, hospitals, hotels and others. Of course, since it is the homeowners who will use it most of the time, their situation should be considered. Like if there are elders and kids in the family, it would be advisable to use stairs with landing and handrails. You may also want to consider comfort in climbing the stairs. If you want to put comfort first, then you can opt for wide stairs that have a less steep climb. Also, you have to consider once again on who will be using the stairs. It would be difficult to use a spiral or circular stairs because it is quite harder to climb. You can also make the stairs larger so that it won’t be hard to go up and down. There are many kind of materials that can be used for making stairs. It could be timber, marble, steel and even concrete. Some even use glass for their treads which looks elegant yet more costly. Glass stairs are usually used for minimal and modern designs. 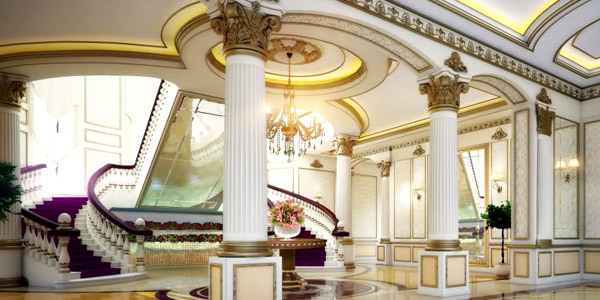 See to it that the materials used suit the interior design of the house and are durable. It is very important that your stairs can carry the load on it to avoid accidents. Aside from the materials, you can also choose from the different staircase designs. It could be straight stairs, half turned staircase, quarter turned staircase and spiral staircase. The design also depends on your available space and in the interior design of your home. 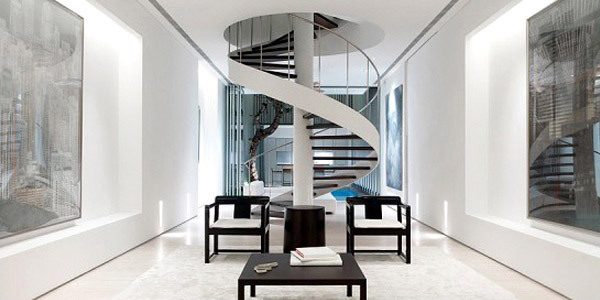 Spiral staircase are good to save space. You have to know your area’s building codes and regulations. There might be some regulations which relate to the height, depth and pitch of your stairs. So, look into it before finalizing your stairs. It is important to know the code to ensure your safety. One also needs to consider some things in designing a staircase with balustrades and handrails. See to it that these are durable enough to carry loads. It also need to go along with the home’s design. Try to review the building code because there might be additional conditions relating to handrails and balustrades. 10. Be certain with your decision. When it comes to choosing a staircase design, you have to make sure that you have finalized it and you have considered every single detail. This has to be done that way because it is not simple to replace a staircase. It would be hard to do that and would even cost a lot. So, plan everything well so that you can get the right stairs for you and your family. There are different staircase designs that one can choose from but it is not just the style that is important. One has to take into account the points stated above. We do hope that you will be able to get the right staircase design for your home. You can accessorize it when it is done and make it another great point in your home’s interior design. Staircases can be traditional or modern and elegant. They don’t have to be an afterthought and can be a vital part of the design of a home. As you mentioned, it’s important to make sure that any construction project is up to building code. You don’t want to start working on a project and then have to change things around.